IamJenniya: NOTD: O.P.I. Your Villa or Mine? NOTD: O.P.I. Your Villa or Mine? 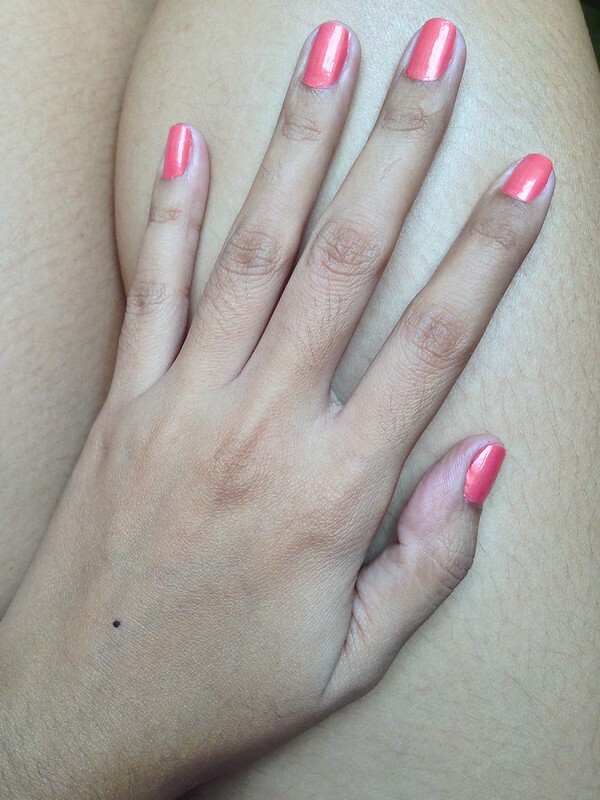 Last Saturday, I took photos of my painted nails using my iPhone. I was testing the quality of photos that this amazing phone (yet) claims. So far, I can say that the quality is very good and is comparable to slr photos. As I was drying up my nails, my phone rang. I had an urgent appointment with a client. Even if I was so lazy to go out that afternoon because the sun was unforgiving; I cannot turn down the oppurtunity. So even if I had only an hour to meet him, I got myself ready and I bravely commute going to Ortigas Center (I'm car less because my hubby was out). I arrived in our agreed meeting place 10-minutes early. But the moment I arrived, he sent a sorry message informing me that he will be late. Oh great, just great. Lol! Well, there's nothing better to do while waiting but tinkering on my iPhone. I took advantage of the 1-hour free time and I've learned some things on how I can maximize the usage of this amazing phone. By the way, all photos in this post are taken by iPhone and I really love the results. I am planning to take outfit shots outdoor using this, too. So, is it Your Villa or Mine? What's with the name of this O.P.I. nail polish? Haha. Would you believe that I own this O.P.I. nail polish for over 2 years already? But this is just my 3rd time using this. Oh why? Because I thought this color make my hands look darker. The first time I used this was when my big brother arrived from KSA and our whole family stayed in a hotel; my Mom tried this on me. The second time was last year during summer and yesterday was just the third time. 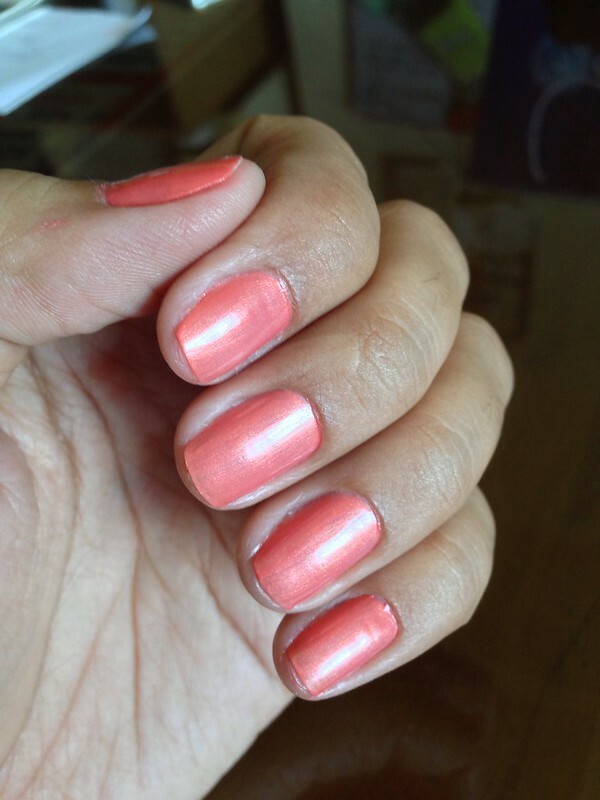 I find this color perfect to be worn during summer because of its coral-ish color (if there's a word). It has pink and orange hues with micro gold shimmers. But you know, I realized yesterday that this color suits my skin tone however. Or maybe I get 2x lighter because since last month, I managed not to get direct exposure from the sun. Surprisingly, this nail polish didn't changed its consistency. It didn't dried up I swear. It didn't bubbled either when applied. When I took this out of my drawer, it looks like a make-up remover ; the oil separates and floated on top of the color. I just shaked it a little and tried it on my nails. It still works like brand-new. The consistency remains runny which made the application precised and easy. Not to mention the brush flares widely when glided onto my nails which is really an important thing to me because I have big nails. I'm quite impressed really. Well, it's O.P.I. I am totally getting this product's worth. Hey I am giving love to this nail polish now. Haha. I can't believe I neglected this shade for long time. Hmmm... What do you think? such a beautiful colour! I love opi. Love love love the manicure, that color is amazing! love the quality and the shade too.. OPI is lil bit expensive..
That is a beautiful color AND it's perfect for spring! Love this color! nice pictures! wow. i can't believe that i-phone have a great camera result. Hi great post! I love OPI!!! I like your blog!! can we follow each other? let me know!! Wow, really the photos doesnt look like taken from mobile phone at all! 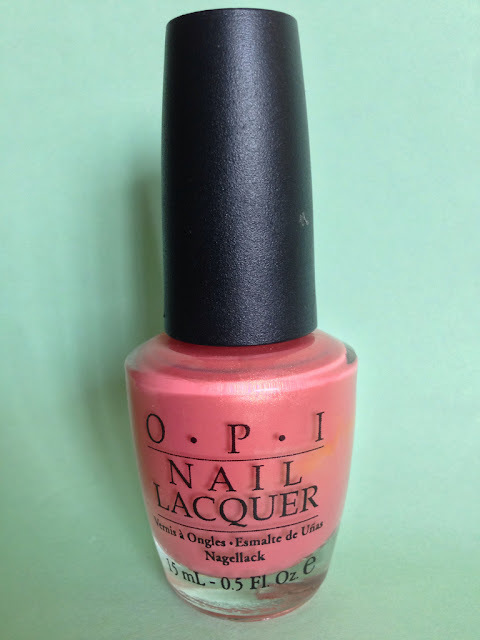 About the nail polish, darker skin tone or not, explore different colors and this coral hue is just perfect for summer, OPI is great! wondering if you would like to follow each other..
Oh sweetie this color is really cute! followed you dear.. :-) I am waiting for you now.. kiss. gorgeous color!! :D perfect for summer!!! Such a a beautiful nailpolish! I am in love with the color because it looks like spring and super chic:) Thumbs up! you got nice fingers, i love the nail polish!!! Hi lovely , I just stumbled upon your nice blog ! Congrats ! Hey dear,I change a blog, if that's okay we could follow each other, if so let me know kisses. I love OPI polishes :) they last long...love the bright coral shade, really complimented your skin tone! Love this color on your beautiful hands dear! 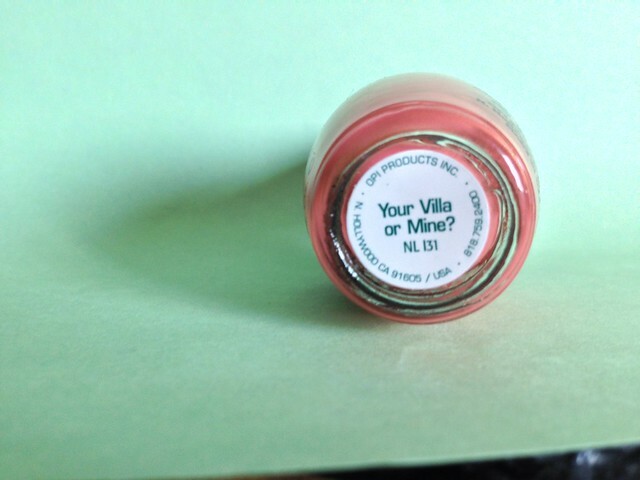 Really pretty shade for Spring! Such a beautiful color, perfect for spring and summer.